ONE Championship (ONE), delivered another amazing spectacle at the Mall of Asia Arena, delighting the packed crowd with a display of world-class martial arts action. Manila played host to ONE: HEROES OF HONOR, featuring the absolute best in local and international martial arts talent. In the main event of the evening, Team Lakay’s Kevin “The Silencer” Belingon dazzled once again with another ferocious display of striking, obliterating opponent Andrew Leone of the United States within two rounds. Action was fierce and relentless from start to finish, and began with Belingon swarming Leone from the sound of the opening bell. As the American tried desperately to stave off attacks which came from all directions, Belingon continued to put on the pressure. In the second round, Belingon connected on a thunderous spinning side kick that sent Leone to the canvas, where he followed and unloaded an unending volley of strikes to earn the technical knockout victory and the GoDaddy KO of the Night. In the co-main event of ONE: HEROES OF HONOR, international kickboxing superstar Giorgio “The Doctor” Petrosyan made a spectacular ONE Championship debut, outworking former Lion Fight World Champion “Smokin'” Jo Nattawut of Thailand. Answering every strike that Nattawut unleashed, Petrosyan outworked his opponent to pick up a unanimous decision win in his first bout for ONE Super Series. 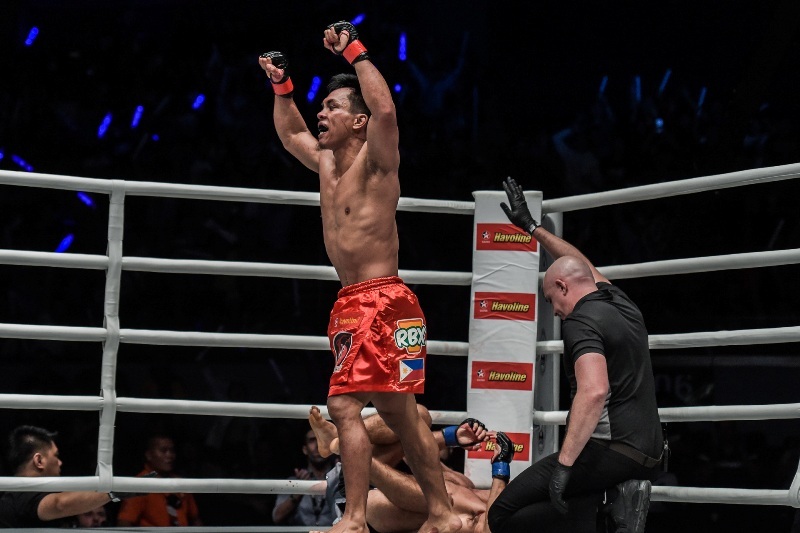 The stunning career resurgence of former ONE Featherweight World Champion Honorio “The Rock” Banario as a lightweight division mainstay continued at ONE: HEROES OF HONOR, where he edged out perennial contender Adrian Pang after three rounds. Banario showcased his pinpoint striking early on, peppering Pang with his patented left hook and razor-sharp kicks. Although Pang boldly traded strikes with his Filipino foe and found success in landing hard body shots, Banario showed superiority in ring generalship, creating spaces to clobber his opponent with long jabs and snapping kicks to the body. As Pang stepped on the gas pedal and pressed the action in the third round, Banario’s intelligent movement notched him a split decision. Making his ONE Super Series debut, legendary Nong-O Gaiyanghadao of Thailand took on former two-time WBC Muay Thai World Champion Fabio Pinca of Lyon, France in a spirited Muay Thai contest featuring plenty of action and excitement. In the end, all three judges ruled the bout in favor of Gaiyanghadao, earning the former four-time Lumpinee Stadium champion a unanimous decision victory. Rekindling the intense rivalry between South Korea and Japan, former world title challenger Dae Hwan Kim came out on top against Japanese legend Masakazu Imanari, winning by unanimous decision. After three gruelling rounds, all judges at ringside saw the bout in favor of Kim. Cosmo Alexandre left a lasting impression in his ONE Super Series debut, defeating Elliot Compton in their Muay Thai clash by way of second round knockout. Reeling in excruciating pain, Compton failed to answer the count of ten, compelling the referee to wave off the bout, declaring Alexandre the victor via knockout in the second round. In a bout that lasted just under two minutes, ONE Championship debutants Akihiro “Superjap” Fujisawa and Kaji “Alpha” Ebin walked out to the ring looking to engage. At the opening bell, Ebin marched forward wanting to trade strikes, but it was Fujisawa who would score on a single-leg takedown. Not long after, Ebin began complaining about a dislocated shoulder. At that point, referee Yuji Shimada called a halt to the contest after Ebin could no longer continue due to injury. In the first ONE Super Series bout of the evening, Regian Eersel impressively marched to a unanimous decision victory over Brad Riddell in a three-round kickboxing contest. In the end, Eersel was awarded a unanimous decision victory. After falling short in her last outing, Gina Iniong of Team Lakay redeemed herself in front of a passionate hometown crowd, claiming a unanimous decision victory over former world title contender Jenny Huang. Iniong savored every strike that she threw at Huang as the latter gallantly traded shots with the highly-decorated Filipina wushu practitioner. Huang tried to change the complexion of the contest in the second round as she resorted to her grappling expertise, but Iniong surprisingly overpowered the submission specialist on the mat. In the final round, Iniong continued to wear out Huang on the ground, working her way towards a hard-earned decision victory. 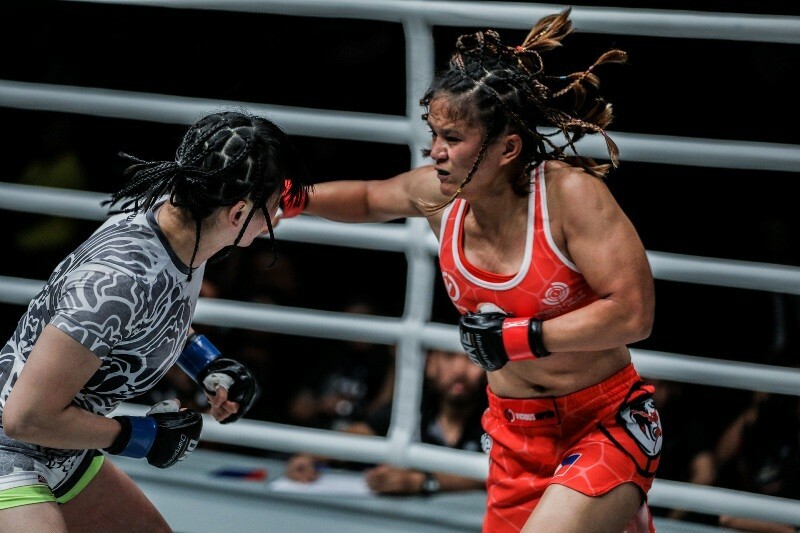 Kicking off ONE: HEROES OF HONOR was a riveting three-round strawweight showdown between Indonesian standout Adrian Mattheis and China’s Lan Ming Qiang. Mattheis dominated his opponent, emerging triumphant via unanimous decision.